Serving the finest quality beef, Steak Edinburgh assures diners that they will provide the best steak and a dining experience to bring people together. The menu certainly shows this. With many sharing cuts of meat bringing a bit of theatre to this modern restaurant. Large wooden tables, beams hanging over the open planned restaurant and subtle lighting all creating an intimate trendy ambiance. Once seated, the waitress showed us the various types of steak that were available. All with a choice of Aberdeen Angus or aged Orkney. All the steaks are 250g and come with a choice of sauce. On the down side the sides have to be ordered separately. We ordered a bottle of red to accompany our meal. It felt as though it was only minutes after we ordered that our starters arrived. We did not have time to try the homemade cheddar bread or time to appreciate the wine. 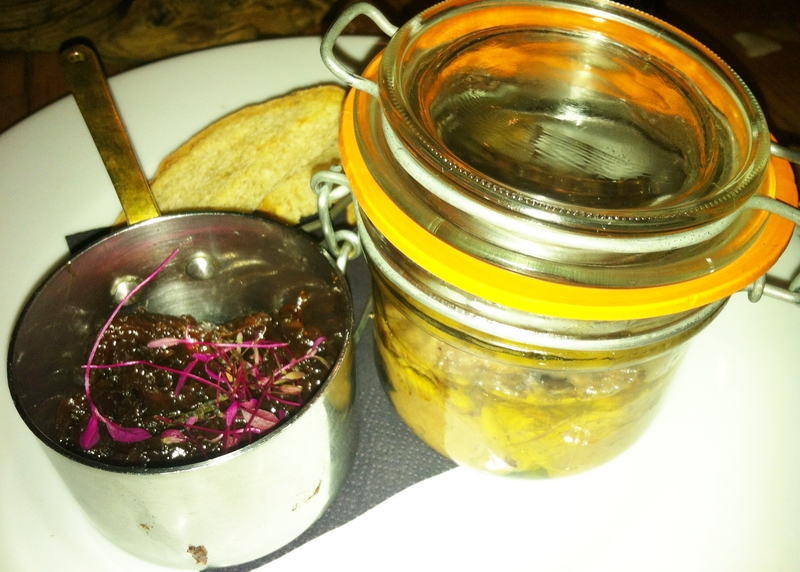 Potted beef shin with a red onion marmalade served with toasted bread. The beef presented in a little jar was divine. At the bottom sat a smooth creamy mushroom pate and on top melt in your mouth beef. The onion marmalade gave the dish a sweeter taste to contrast the earthiness of the mushrooms. The whole dish was a perfect start to the meal. The main meals literally arrived after a few minutes of the starter plates being cleared. My husband even commented to the waiter that it was too quick to which he did not reply. 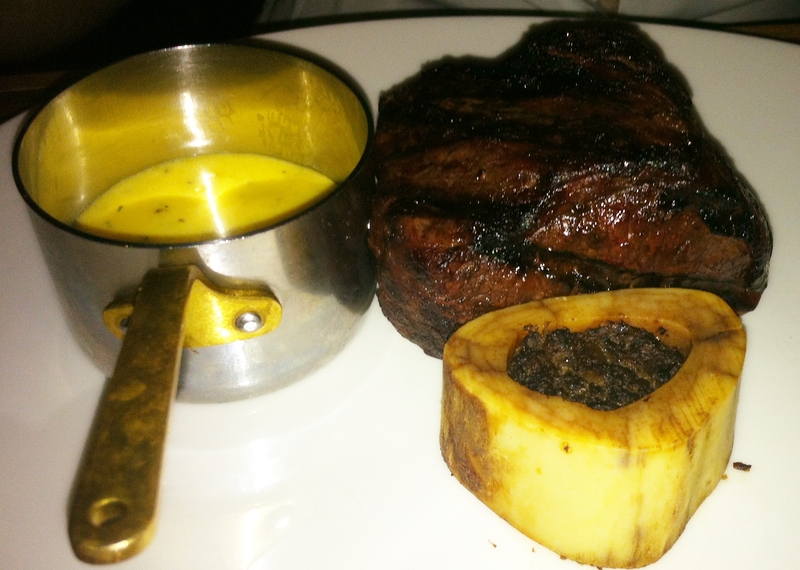 However my rib eye steak was cooked to perfection, medium rare, juicy and succulent. The sauce to accompany was a stilton hollandaise which was also sublime. The rich lemony butter mixed with the strong creamy cheese was perfect with the luxurious meat. The fillet steak was also heavenly. Again seasoned and cooked to perfection. Moist steak oozing with natural flavour and tastes. However the béarnaise sauce did not live up to the same standards. Very bland sauce with no real taste. We asked to replace this sauce which the waitress promptly did without a problem. The peppercorn sauce was an excellent substitute. 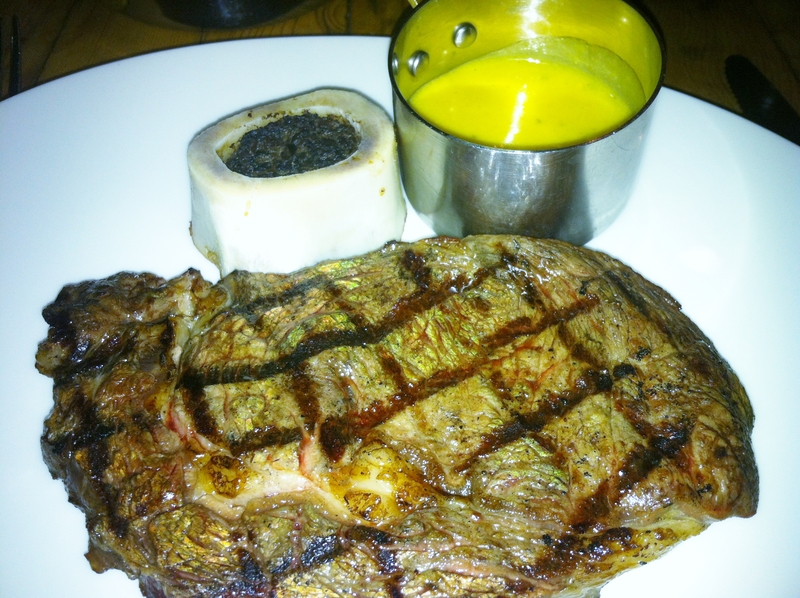 Alongside the steaks was the bone marrow stuffed with a mushroom puree, this was delicious. We ordered two side dishes to share. Creamed leaks, peas and bacon and triple cooked chips in beef dripping. 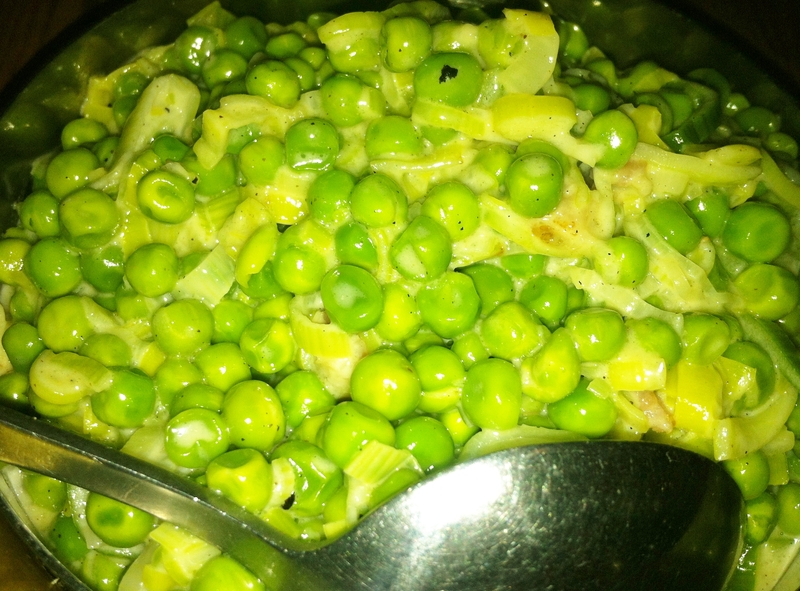 The peas tasted suspiciously like were out of a tin. Mixed with a little bacon and cream they did not live up to expectation. In contrast the chips were amazing. 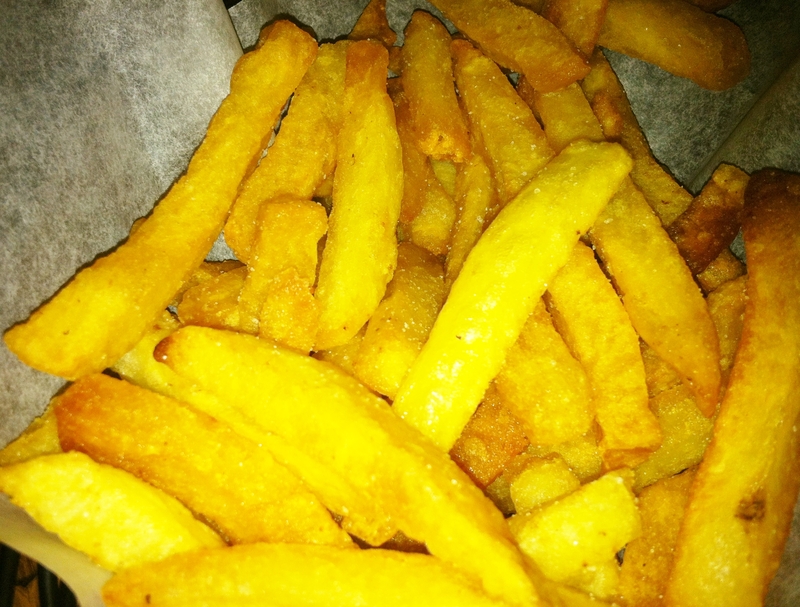 Soft cantered with a very crispy outside topped with salt. I actually think they are the best chips I have tasted! We ordered desert but asked if we could have at least 10minutes before we got it! To share we had vanilla panacotta with raspberry and pistachio. 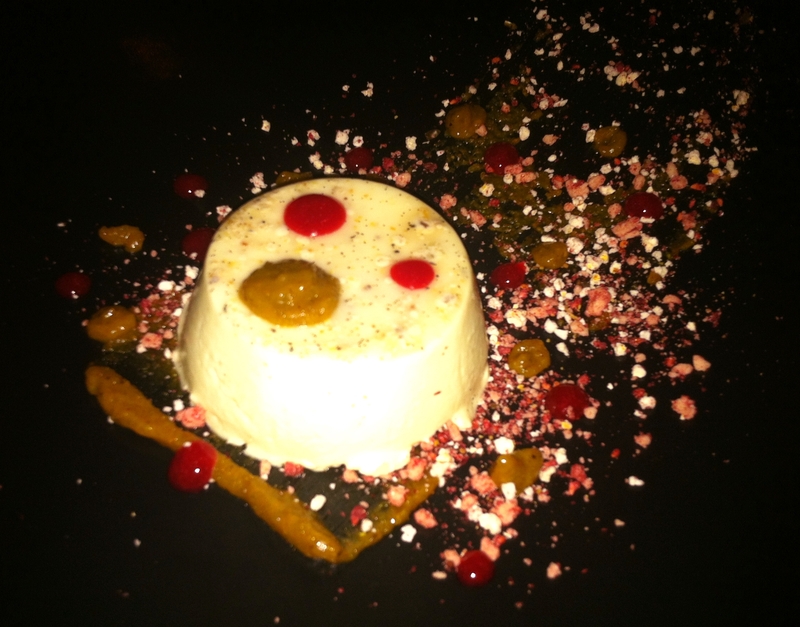 The panacotta was set to perfection, still with a slight wobble. Overall the dish lacked sauce. There was a lovely pistachio puree and a tangy raspberry coulis however only a small amount of this dotted on the plate with dried raspberries and crumbled pistachios all over making the dish very dry. To finish we had coffee. Even though the food came out extremely quickly, we were never made to feel rushed. The restaurant has a very relaxed feel and our waitress was prompt but also took a step back. 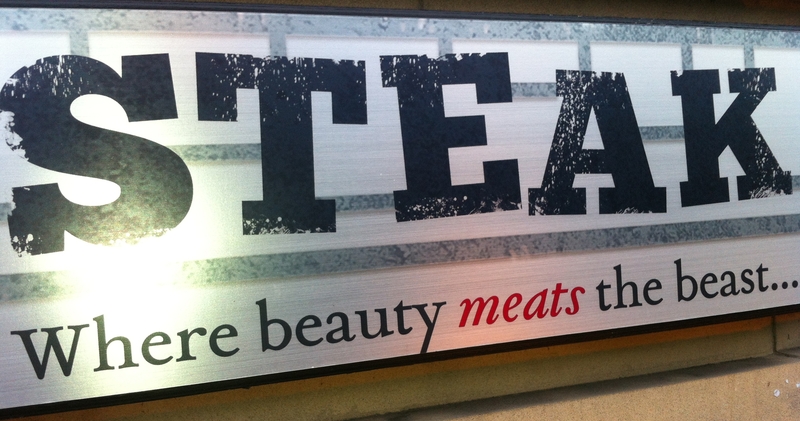 With a restaurant called “Steak” it has to be good at steak and it was. The other minor hiccups such as the sides and quickness of the service can be improved and changed. After our meal we went through to the bar on the same level as the restaurant. The bar tender Alex, provided us with exceptional cocktails. There were only a handful of people in the bar which in this instance I was glad as it was very relaxed. A perfect way to end the night. With many offers during the week including Sharing Sunday for £45 between two people, Steak can offer not just an intimate romantic meal but also a restaurant for friends and families. This is a restaurant I will definitely be going back to when I want a steak as you know it is going to be awesome with great quality meat.